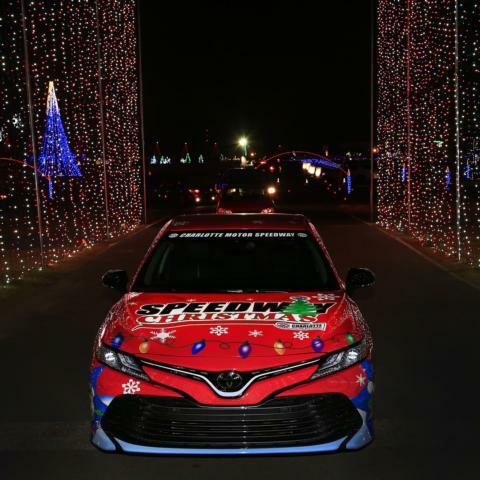 In just over a week, Charlotte Motor Speedway will cut the red ribbon to open one of the nation's largest holiday light shows, bringing new attractions and a record amount of lights to the ninth edition of Speedway Christmas presented by AAA Carolinas' Disconnect & Drive. New for 2018, visitors can take a ride in the infield on a 50-foot Ferris wheel, listen to joyful sounds from live musicians, bands, carolers and choirs and drive through more light displays than ever before. The five-story Ferris wheel, located just outside the infield Christmas Village, will boast spectacular views of the infield and track portions of the illuminated 3.75-mile course. The tallest addition to this year's show will tower over the new "Storybook in Lights"-themed displays including classics like "The Three Little Pigs" and "Rapunzel." The Ferris wheel will cost just $5 per person and is open Thursday - Sunday nights. Local musicians, bands, choirs and carolers will take the Christmas Village stage on Friday and Saturday nights to entertain show-goers as they sip hot chocolate and roast marshmallows by the fire pits. The entertainment lineup includes appearances by local musicians Cameron Ripley and Thor Mauldin, as well as the Olympic High School, South Iredell High School and Cuthbertson High School choirs. Fans can follow Charlotte Motor Speedway's social media accounts for updates to the entertainment schedule. More than 1,000 strands of 12-foot lights, new displays in the grandstands and a new light tunnel will boost the overall number of lights at the annual holiday attraction to more than 3.5 million. Operations crews began erecting this year's attractions in mid-October, working more than 4,300 hours, to produce a holiday light spectacular that welcomed more than 33,000 cars in 2017. 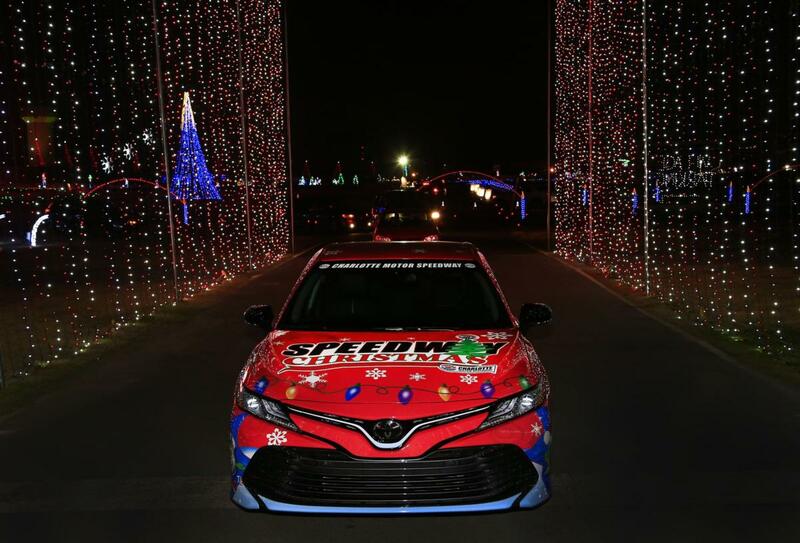 The drive-through portion of Speedway Christmas runs nightly from 6 p.m. to 10 p.m. Nov. 18 through Dec. 31. On Thursday through Sunday nights, the Christmas Village is open in the speedway infield. The village includes s'mores making, a festival of trees, photos with Santa, Bethlehem Village with live actors and animals, and a snowfall selfie station for holiday photos.